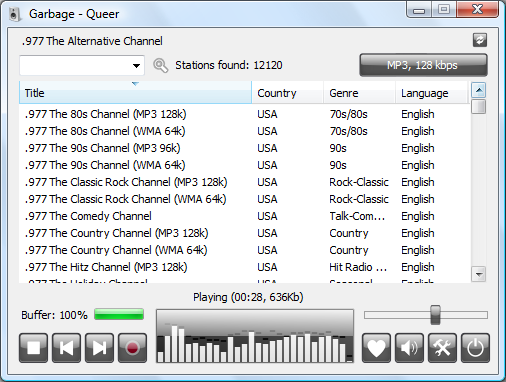 Description: It allows users to tune into radio stations from around the globe and even record their favorite programs. It has a very simple interface, includes more than 17.000 of stations, supports most of the internet radio formats (mp3, wma, ogg vorbis, aac+), allow to record songs and to manage favourite stations. You can also update the stations database following these instructions.